Summer is almost here. Do you have your luxurious caftans ready for all the cocktail parties you shall be hosting on your yacht? 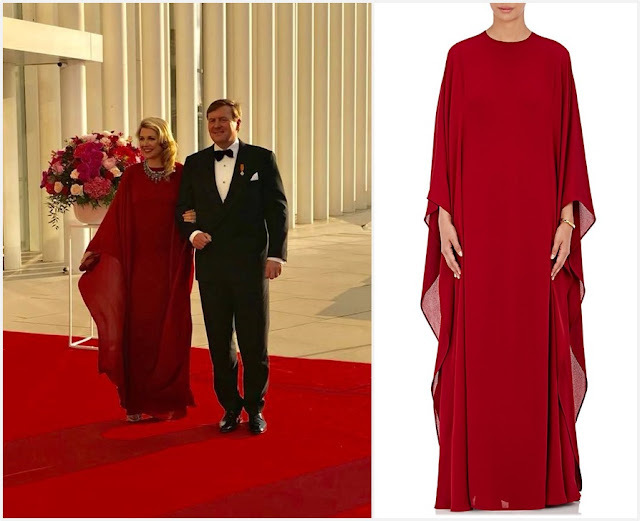 Queen Máxima's caftans come in the form of gowns and they are always ready, darling, whether for cocktails on a yacht or hosting a return event on the second day of the Luxembourg state visit. Grand Duchess Maria Teresa's looking ready for a little holiday glam too, with all the tropical foliage happening on her bespoke Elie Saab dress (per Heaven). And just a little tip for you from these ladies: Use those flowing garments as a showcase for your strongest necklace game. Queen Máxima wore the Ruby Peacock Necklace previously on this red gown; last night, she followed up on her Stuart Surprise with her Tutti Frutti-style necklace and bracelet. I wouldn't have thought that set would work so well with red, and yet it does. Just one reason that set belongs to her and not me, I guess. One of about 66,419 rea$on$. Shall we hit the day events from days 1 and 2, briefly? Moving back, actually, to the arrivals and another can't-miss-it outfit from Queen Máx. If she'd leaned more into the green side of this and less into the yellow, she would have come pretty close to one of my all-time favorite QEII ensembles. But she didn't. Sometimes it doesn't work out so well. 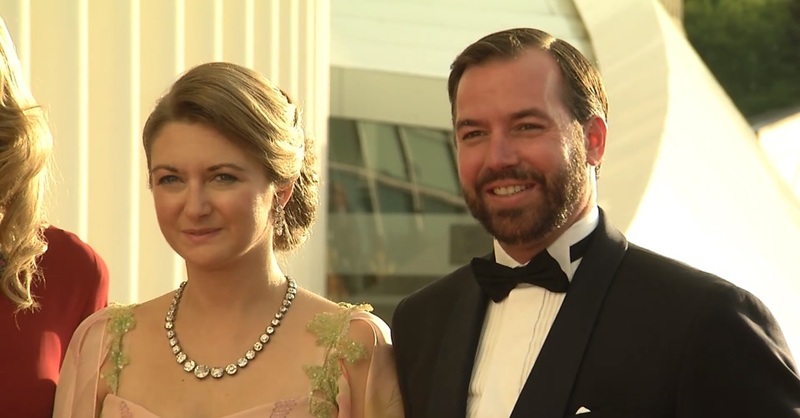 The Hereditary Grand Duchess won the prize for best welcome outfit anyway. Psst: Check in over the weekend, fingers crossed we'll have some fun stuff to look at from Crown Prince Frederik's birthday!